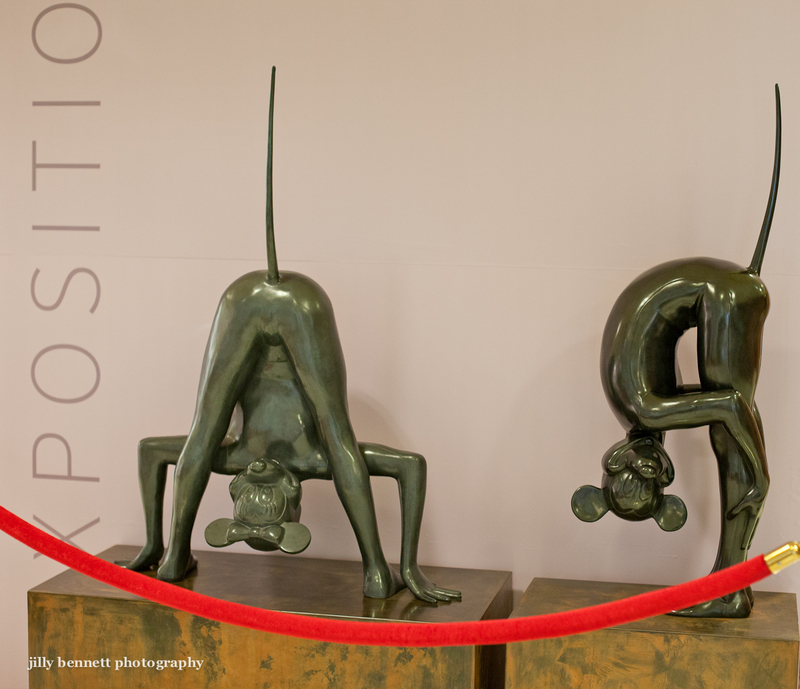 Monte Carlo Weekly Photo: Mauro Corda - Minnie Mouse? Minnie Mouse I presume? Another of Mauro Corda's sculptures at the Metropole Centre. Weird, but why not. I remember Minnie as being slightly chubbier though... What's her gym? Like yesterday, this also looks like it was inspired by Cirque du Soleil. By the way, Sharon on her Phoenix Daily Photo site is today showing a photo of the champagne glasses from Chateu d' Chevre d' Or in Eze about which we have written and shown in the past. That verges on the lewd. The red rope is appropriate.